I think we can all agree that Chihuahuas are the cutest dogs in the world. These tiny dogs have won the hearts of millions over the last few thousand years or longer depending on who you ask. 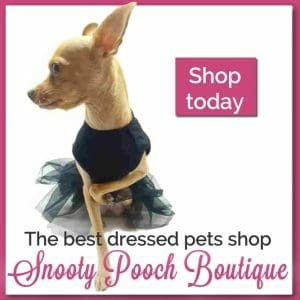 Chihuahuas have a larger than life personality, that often gets them into serious trouble. If you have ever owned one of these dogs or know someone that has, you are probably aware that they can bite. While their bite can be tiny, it can also really hurt and could cause serious damage! 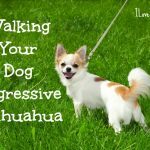 Today we are going to take a deeper look at why Chihuahuas have a tendency to bite and what you can do to curb this annoying habit. 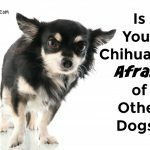 Chihuahuas just like any dog can bite but these pint sized pooches tend to bite for other reasons than most canines. Because of their size Chihuahuas often feel the need to act larger than they actually are. That old Napoleon Complex. They will often attack dogs 4 times their size just to show them they mean business. But many times, with proper socialization and discipline this behavior can be corrected. Sometimes if a dog has been rescued, she may have been abused in her previous home or not have gotten the proper attention and training. 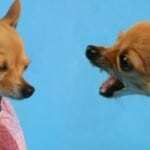 Some Chihuahuas may just be high strung and aggressive. Sometimes it’s due to bad breeding. If you have an older dog that is showing signs of aggression, you will need to take them to the vet. 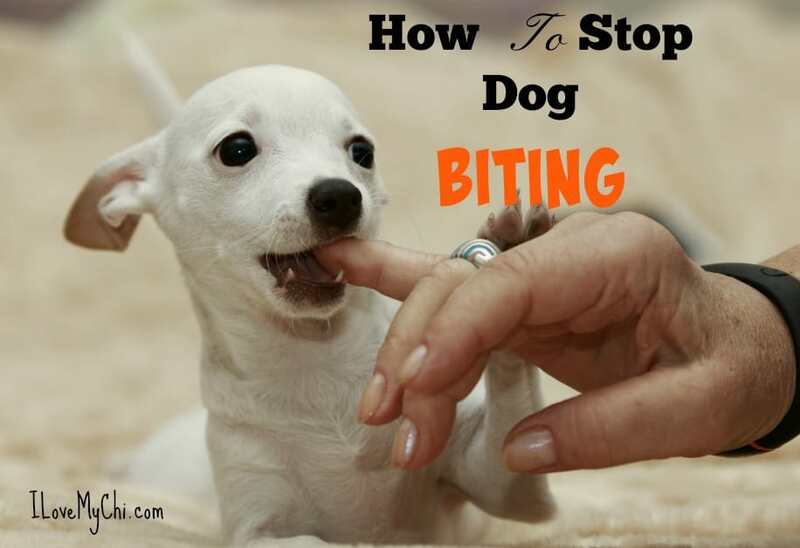 Many times an underlying illness will cause your normally well behaved dog to start biting. Only your vet will be able to determine if illness is an issue. Ailments such as arthritis can really make your older dog feel very bad. If you have a puppy that is teething, he will bite anything he can get his little teeth on. When he bites you, say “No” or “Ouch” in a firm voice, put him down, give him a chew toy and and walk away. We have to look at boredom as a reason for biting. When you leave your dog alone for hours with nothing to do, this can lead to acts of aggression. They feel the need to lash out simply because no one is paying them attention. So make sure to always give them enough attention whenever possible. Also give them toys to play with while not at home and if your dog is overly lonely you might even want to consider getting a second dog. This will give them a playmate and who doesn’t love a multi dog household? When it comes to Chihuahuas, socialization should begin very early. Once these canines get set in their ways, behavior is something that is harder to change. When you bring your new puppy home make sure to start socializing right away. If you have other dogs or pets in the home, make sure to introduce them to your new puppy. 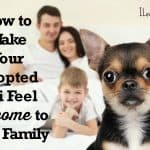 This will allow your new dog a chance to realize there is a hierarchy in the home and there will be less bites and happier times. Also, if you have small children expose them to the new dog slowly but surely. Remember that these dogs are very tiny and fragile, so you will want to always supervise them around tiny tots. I’m going to tell you what has worked for me. This is to be used on your dog when he is trying to bite you, not on a puppy who is just teething. You may not like a few of these methods but none of them cause any pain to the dog. When we got Buddy, our American Bulldog/German Shepherd puppy, he had a very aggressive temperament. He was a rescue, only 6 weeks old but we could tell he would be a big dog. He’s now over 80 pounds. It was kind of cute seeing this little fur ball growl at us and try to bite and act like a big tough guy. But I knew it would not be so cute when he was a big scary adult acting that aggressively. So I asked a trainer I knew what to do. She said to first do what I mentioned earlier, and say “No” in a firm voice, get up and walk away from him. Or set him down away from us. And then ignore him. If this didn’t work after several days, then we moved on to the second idea. When Buddy would try to bite or growl at us, we would pick him up from under his belly and hold him high above our head until he calmed down. Once he quieted, we would set him down and walk away from him. This second method worked better for us than the first method but the trainer said if it didn’t work, we could try the 3rd method. The third method is to turn the dog over onto his back and just hold him there until he quiets down. Hold him firmly enough to keep him from getting away, but don’t hold him so tight that you hurt him. Once he settles down and stops growling, trying to nip you and trying to get away, just let him go. This is something dogs do in the wild to show who is the alpha. In your pack, you need to be the alpha, the leader. We only had to use this third method once or twice with Buddy. I’m happy to say that as an adult, Buddy is not aggressive at all. I’m so glad we nipped the problem in the bud before it became a problem. 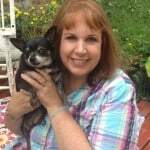 Have you had to deal with your Chihuahua trying to bite you or other people? Have you tried anything that has stopped the behavior? Let us know in the comments. My Tony is 6 month old ! he tries to bite me all the time ! Is he just teething Renate or is he really trying to bite? HE WAS A YEAR IN SEPTEMBER ! HE IS GOOD MOST THE TIME ! i HAD HIM SINCE HE WAS 6 WEEKS , BUT THEN HE STARTS BITEN ALL OVER SUTTEN ! Has he any training classes? A good training class might help. My little chi’s don’t try to bite but I do have a problem with them wanting to nibble on my fingers when they are excited. I notice this especially when I get home. Any suggestions? Those are what is called puppy nips Kelli and some dogs do it out of affection and excitement. If it hurts when they do it and you want it to stop, say “No” in a firm voice and walk away from them until they calm down. 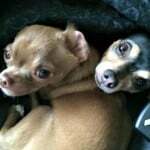 My chi only tries to bite one person, he really hates this person. He won’t get near this person except to try and bite him. When standing away from him he’s constantly growling at him. Any advice will be greatly appreciated. My advice would be to get this person to start feeding him. It may take awhile though and he will need to take it slow and easy with him. If you want, I can post this question on our facebook page for more ideas for you. Many chis do not like kids simply because they make them nervous. Kids being kids are sometimes a little rough and clumsy around them and that scares them. They also usually prefer one person and will throw a fit if someone else wants to touch them. Since she doesn’t do this when you aren’t there, it’s that old “love the one you’re with” thing where she will accept them if that’s all that’s available to her. You could try “immersion therapy” with your son by having him feed her, take her for a walk, etc. so she sees him as a “provider” and learns to accept him. If you want me to post your problem on the facebok page, maybe others might have some more ideas of what to do for you. Anna, is he biting because of teething? I assume so since he is 3 months old. If so, when he goes to bite I would say No, put him in his crate or playpen (playpens are wonderful for young puppies) and put a teething toy in there. Then walk away and stay away for at least 10 minutes. He’s still a baby so he isn’t going to catch on overnight. It may take months but eventually he will grow out of the teething stage and wanting to chew on everything. Yeah I think your little guy thinks he’s the alpha dog and he’s trying to force you to do what he wants. My 1 year old chi was rescued from a very abusive situation. Some kids were using her as a football, throwing her back and forth, even drop kicking her. As a result she doesn’t like to be held in my arms, she will growl the whole time and when I put her down, she tries to bite me. Then she spins in a circle several times and bites her own foot. She also doesn’t like to be touched, especially the head, where she had several stitches. She always gives a warning growl, so I speak in a calming voice, telling her no until she stops growling. But if one of my other dogs bumps her while they are playing, it sends her into her growling spinning cycle. Otherwise she is a very sweet dog. She is friendly with people but I have to warm them not to pet her because she will try to bite. I love her and would like to help her be more calm and to not bite, but I am not sure if I am going about it the right way. Any suggestions would be appreciated. Thank you. It sounds like you are doing the right thing Mary. It’s just going to take time and some of those behaviors may never change because of all the abuse she endured. Would you like for me to ask about this on the facebook page to maybe get some more ideas for you? Our biting started off as play cute when she was little but now she very possessive if every one of her toys so when i reach for one to engage her in play she goes. Into her attack mode. Now i have to give her a firm no and slowly get it away then play with her with it. I have to warn friends what she may do and keep my eyes on her cuz you cant predict how she is with others. My mom used to tease her like she was ging to take her toy get her all growly til mom got bit so mom let up on the teasing. Otherwise she is the most l9ving sweet chi ive ever had my constant shadow. It sounds like you are doing the right things Carol. Hi. My chi is 4 years old. Her name is chi chi. She bites and growls all the time, even me and everyone else in the house. She also will bit anyone who comes over. She will come over and cuddle with you, act like she wants your attention and then she bites. I can’t cut her nails, put a collar or leash on her, or tick and flea medicine without her biting. I have had her since she was 12 weeks old. She nipped a bit as a puppy but nothing like she is now. I love her to death but I don’t know what to do with her. Help please. 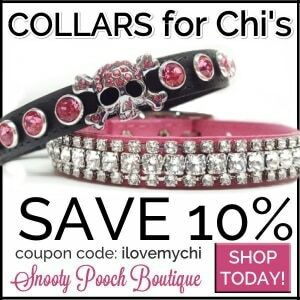 Chi chi is being a bully and trying to show everyone she is the Alpha by biting to get her way.